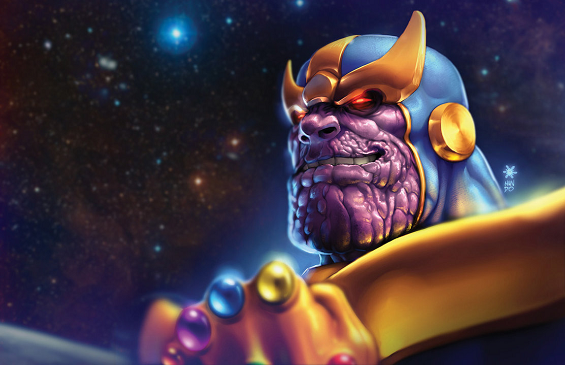 Thanos is one of the most powerful villains in the Marvel Universe. He is a villain who’s physiology brings him to near immortality, able to battle with minimal injury and survive most fatal circumstances. To some degree, Thanos can wield cosmic energy. His near god like abilities creates the desire in him to increase his stature in the universe, no matter the cost. Thanos decides to eliminate half of the universe to impress Mistress Death and win her love. He believed since his soul was of dark nature, he could impress such a powerful entity. When that became a failure over repeated attempts, he was banned from ever entering the realms of the dead. Despite Thanos failure flaw, he is the first villain to conquer the entire universe. Like most villains, his selfish ambition is his greatest downfall, as displayed in the Infinity Gauntlet series. All those who have great power fear to lose it, this fear is what defeats Thanos every time. 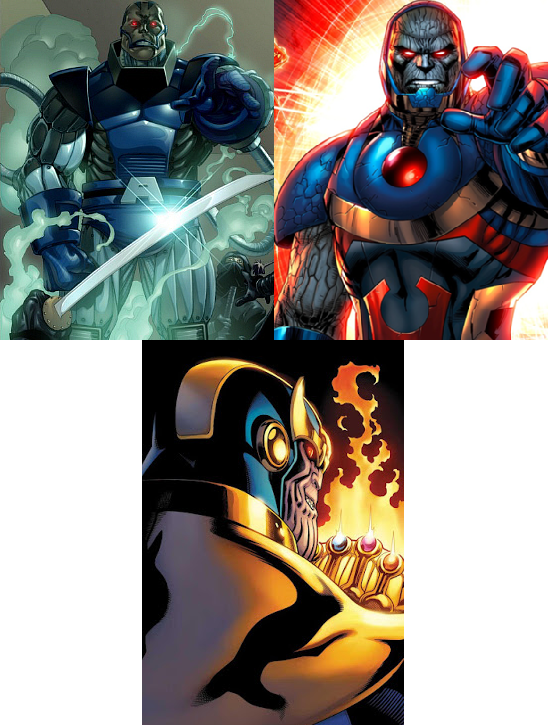 Thanos has made appearances on television with 1997 Silver Surfer and 2009 The Super Hero Squad Show. What excites fans is Thanos cameo at the end of The Avengers film and Guardians of the Galaxy. The Avenger movies are leading to the ultimate battle for the Infinity Gems. Do you think Marvel Studios will stick close to the comic book? If so, how will Adam Warlock, Mistress Death and Mephisto be introduced into the movie plot? How do you like the visual concept of Thanos in live movie? Fan Favorite artwork of Thanos goes to DeviantArt artist, codename: Mundokk.